The “Spirit of the Southland” Marching Band allows students to perform at university games regardless of the student’s major. What do Neil Armstrong, Gwen Stefani, Andy Griffith, Steven Tyler and Bill Clinton all have in common? All these famous individuals were once a part of their school’s marching band. Since its reappearance in 2004, the “Spirit of the Southland” has been the title of the university’s marching band. The “Spirit of the Southland” offers opportunities for music and non-music majors alike to perform at each home football game and other game day events. For some, marching band seemed like a must-do since high school. “I have always wanted to be in a college band program and seeing other universities in high school inspired me to continue marching band in college,” said Jarian Jordan, a senior music major. Jordan has been playing music since the sixth grade, where he learned to play the trumpet, French horn and the mellophone. 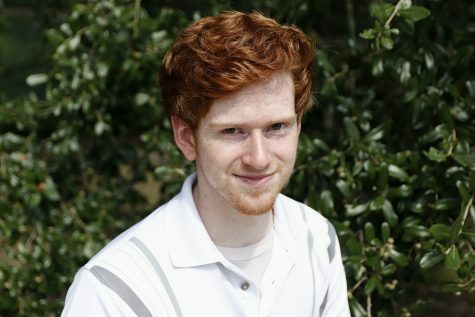 He played mellophone for the “Spirit of the Southland” until he became a drum major. 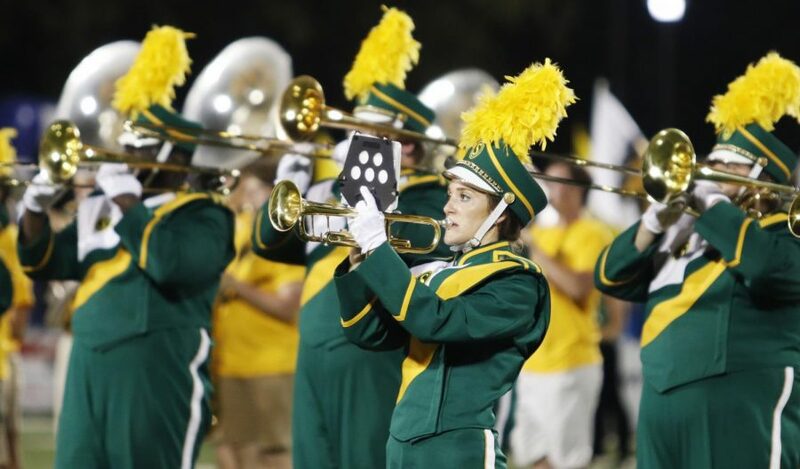 For freshmen in marching band, their experience has begun to develop. Bryann Caro, a freshman undecided major, wanted to become a music minor at the beginning of her college career. As a part of her minor, she joined the marching band as center snare and has become the drum captain. Caro pointed out a difference between her high school and college experiences in the band. “Every week, there’s a new show and new music to learn while in high school, at least for me, it was just perfecting one field show throughout the whole season,” said Caro. For marching band, practice does not discriminate. For freshmen and seniors alike, several hours of practice accompany each week’s schedule. Caro shared how long she dedicates to weekly band practices. Reflecting on his time in the band, Jordan shared that he would not change anything about his marching band experience. He encourages underclassmen and those considering marching band on a collegiate level to follow that passion. Caro gave some advice for high school seniors who are looking to pursue marching band experience.